On Saturday, April 14, 2018, MIT traveled to Randall’s Island in New York City to take on the Village Lions. It was a beautiful spring day with the sun shining, the flowers starting to bloom, and the smell of a local sewage plant hovering over the field. Heavy traffic and low numbers forced MIT to start the game with just 14 players due to the team’s match secretary scheduling an early kickoff at the crack of 4:00 PM. On April 7, 2018, MIT traveled to Weymouth, MA to start their spring season vs. Boston RFC. Coming off of a brutal spring training where practices were held in rain, snow and sleet, MIT was excited to get a decent day of weather to kick off the season, only to find out that they were playing in a giant bubble. Luckily the bubble arena was a brand new facility featuring one of the softer turf fields MIT has played on. This was Boston RFC’s first game at their new home, and there were 2 matches leading up to the MIT-Boston clash. On March 27 and March 29, 2018, MIT hosted fellow DIII team Boston Maccabi RFC in a joint team practice and scrimmage. The teams were able to mutually benefit by seeing how their competitor’s ran practice and drills. The scrimmage on Thursday allowed both sides to mix in different sets of players to test out rosters for the upcoming spring season. The Maccabi’s exposed several areas that MIT realized they needed to work on. Big thanks to Boston Maccabi for bringing great numbers out to both sessions. Practices are currently Tuesdays and Thursdays from 6:00 to 8:00 PM on Briggs Field with additional Monday CrossFit sessions at Kendall Square CrossFit. MIT RFC has partnered up with Kendall Square CrossFit as they train for their upcoming spring season. The team has been very happy with their results from the sessions despite what Alex, Nick, and Sasha’s faces show. A draw, as MIT led lead slip away late at Old Gold. A 10 am Saturday morning start at Joe Moakley Field in South Boston proved to be a challenge for the more nocturnally inclined members of MIT rugby. Nonetheless, the early going saw MIT moving the ball very well on attack, with big carries in midfield from Caleb, Frank and Alex, and a strong performance from the the MIT front row providing a good platform in the scrum. This early pressure drew a penalty which John G dispatched to put MIT on the scoreboard. Read more about A draw, as MIT led lead slip away late at Old Gold. 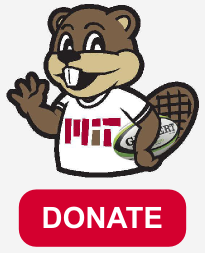 Preseason training for MIT rugby commences Thursday August 3rd at 7.30pm at the Cambridge Athletic Club, and will run through to the end of August. We have a packed schedule of 9 games this fall, and as always all are welcome to come down to Briggs Field to cheer on the team and socialise.